Issues with doors — including clearance issues — were the fifth most commonly observed issues in Joint Commission surveys in 2015. Because door clearance issues get that much attention, the American Society for Health Care Engineering (ASHE) joined three other organizations to sponsor research through the Fire Protection Research Foundation (FPRF) into the door-gap issue, according to an article on the Health Facilities Management website. FPRF, which is affiliated with the National Fire Protection Association (NFPA), investigated the history of the door-gap standards in NFPA 80, Standard for Fire Doors and Other Opening Protectives, and found that the door-gap standard was first introduced in 1959 and was last revised in 2016. But it found no actual research backs up that standard. 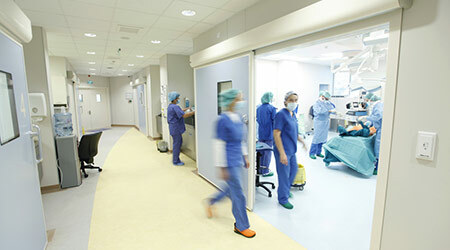 The door-clearance standard is just one of thousands of codes and regulations that affect hospital construction. But nobody know how many are backed by research.